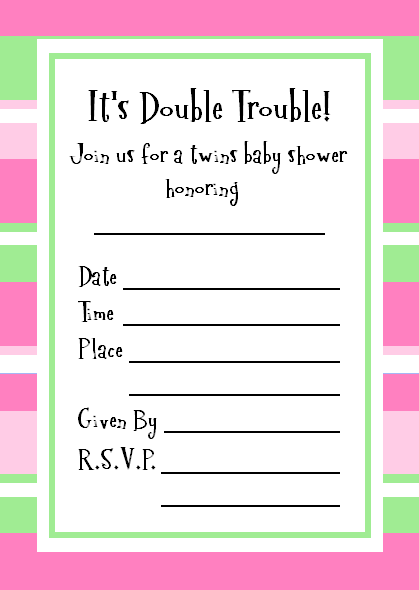 Check out this cute Twins Baby Shower Invitation for baby girls! Take a look at this twins baby shower invitation design. 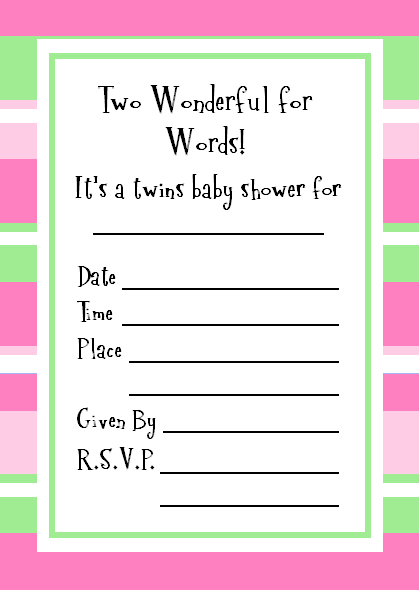 The pink and green is a cute & trendy color combo and is an adorable way to invite guests to the baby shower! 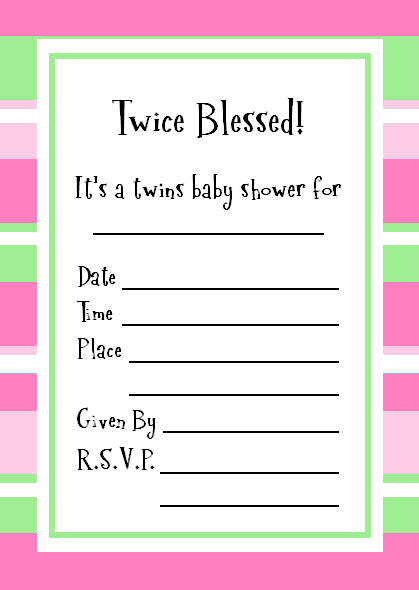 Just choose one of the four available Twins verses for the invitation and print out as many as you need for all your personal baby shower needs! The printing instructions are found below. There are several ways to print this invitation. Whichever way you choose, I suggest that you print your invitations on a thick cardstock for a higher quality invitation. The EASIEST way to print this invitation is to open this pdf printable Twins Baby Shower invitation and print it from there. Cut out the invitations after you print them out. Fill in the blanks with the party details and you are good to go! Best Wishes on your Twins Baby Shower!